While trapped in the snow we decided to venture into the warm kitchen. 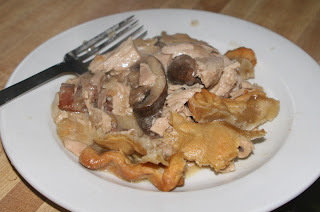 We saw a recipe by Annie Wayte for a Guinea Fowl Potpie. We had almost nothing from the recipe with the exception of a guinea fowl. That is the kind of kitchen we have! So we improvised. 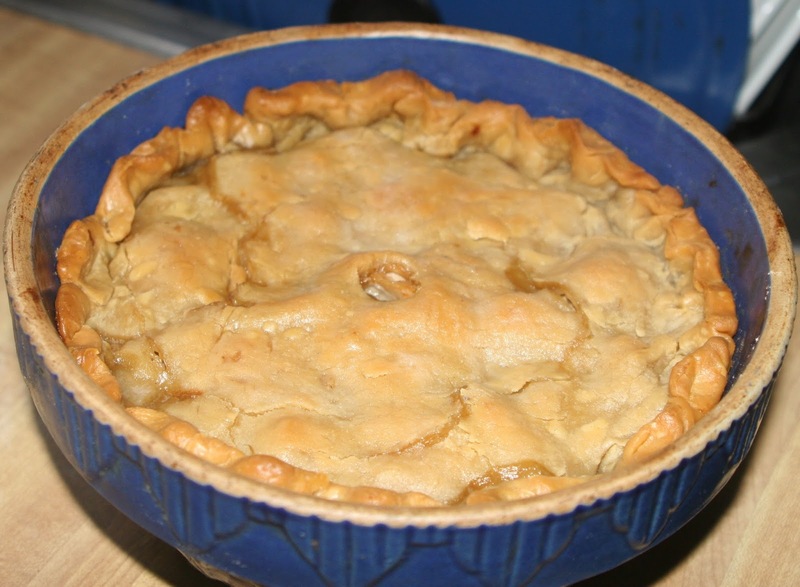 Our pie is simply guinea, onions, mushrooms, and a bit of bacon. It turned out quite yummy. Then we decided to make a cake. We had a couple of white sweet potatoes that we had lying around from Christmas. They were actually lying UNDER as we moved a paper bag over them, and discovered them after we needed the bag! We baked them at 400 for about 35 minutes until they were mashable and then set out to make our favorite sweet potato cake, only in the white version. 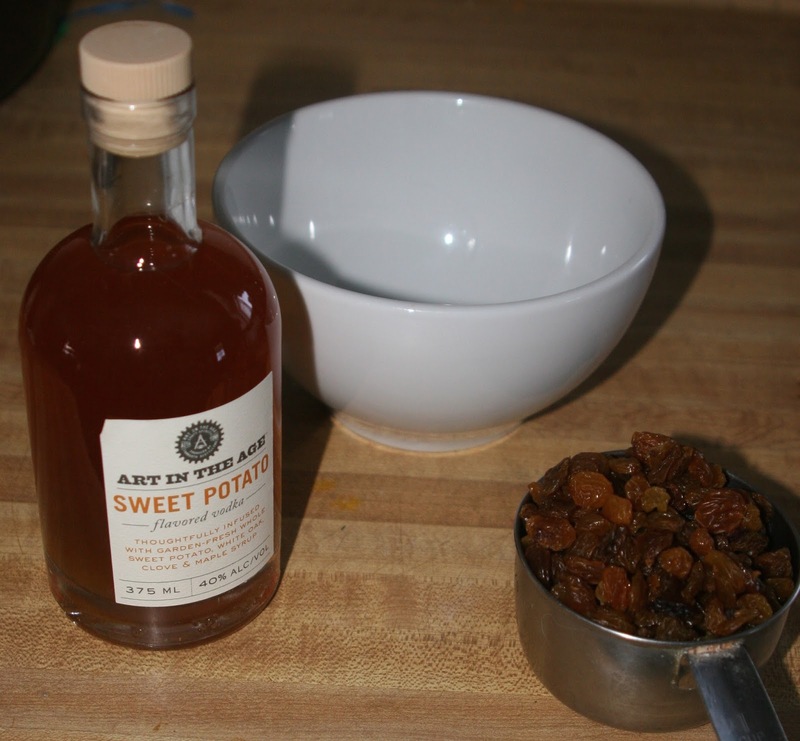 For Christmas we got several bottles of libations from Art in the Age, including a sweet potato vodka, so we gave out yellow raisins a soak. We also had half a bag of self-rising flour, so we used that. 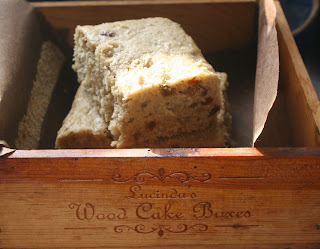 Soak your raisins for about 30 minutes in a tablespoon of liquor, if desired. In a smaller bowl, mix the sweet potatoes, eggs, oil, and milk. I may look a bit lumpy and curdled, but that is the way it should look. Add the sweet potato mixture to the dry ingredients and blend well. Being snowbound wasn't too bad. 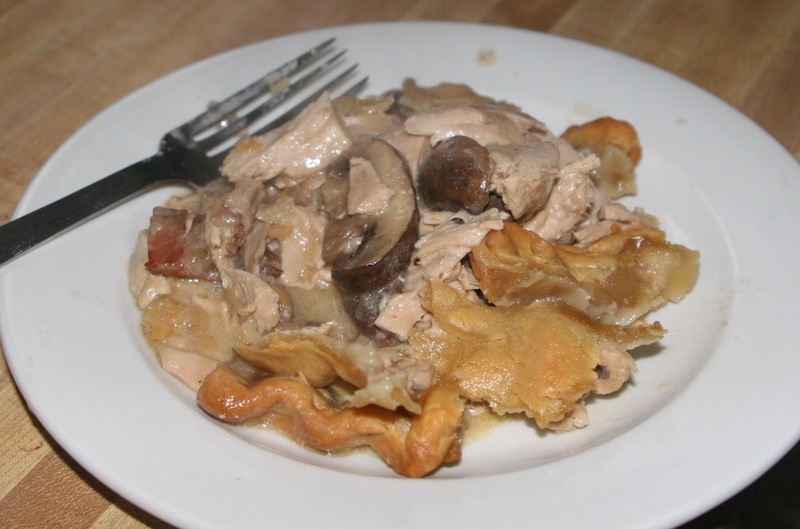 "We had almost nothing from the recipe with the exception of a guinea fowl." WHO, I ask you, has a quinea fowl on hand?? !